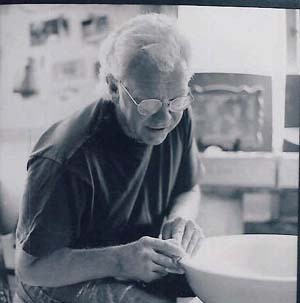 Richard Roth has been a professional potter and teacher for over 40 years. 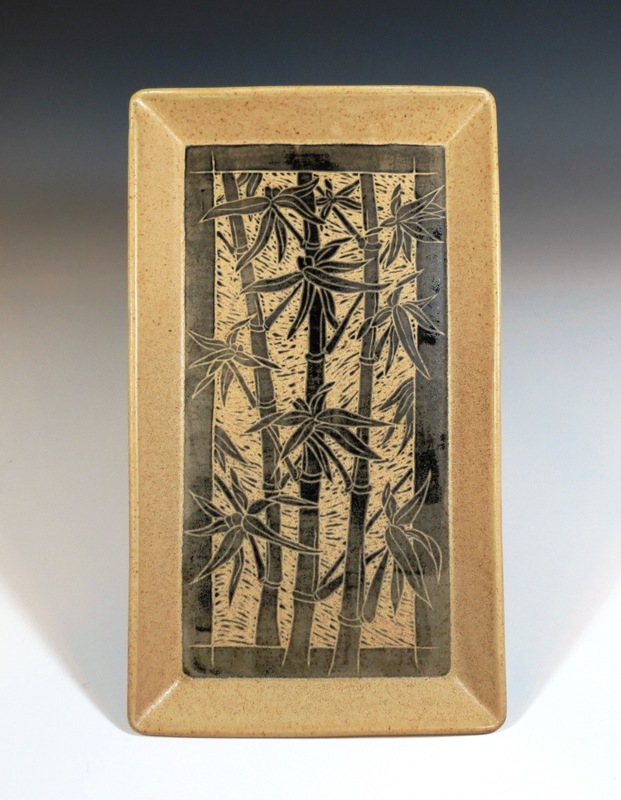 After receiving his BA degree in Art Education from the University of Washington and teaching for several years, he established several galleries and studios in California. He now lives and works in Winlock at his Grand Prairie Designs studio and family farm. His work is found in many private collections around the world and is currently shown in several West Coast galleries and at his studio. 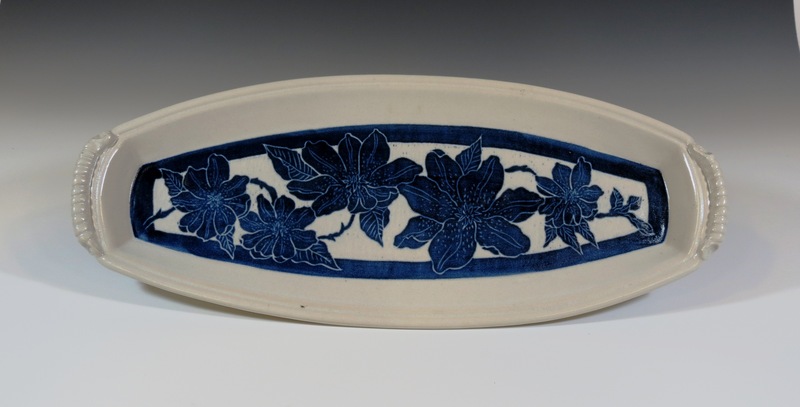 He is known for decorative floral designs in both porcelain and stoneware clay. 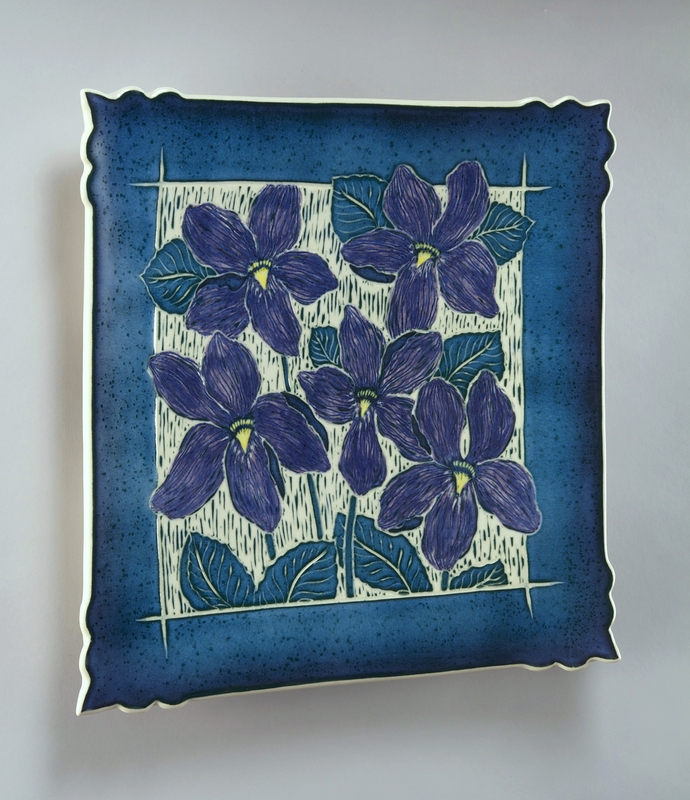 Soft clay is either hand thrown on the potter’s wheel or rolled into a slab. When sufficiently dry, the work is trimmed and smoothed ready for the design work. 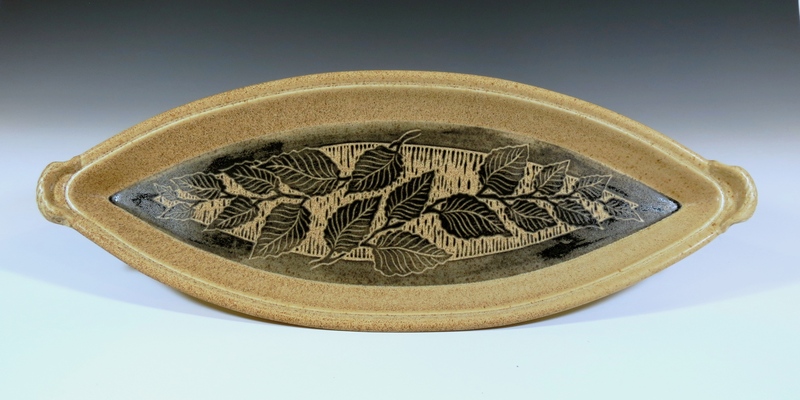 A colored liquid clay “slip” is brushed over the “leather hard” partially dry clay and is then carved and cut with various “sgraffito” tools producing the chosen original design. 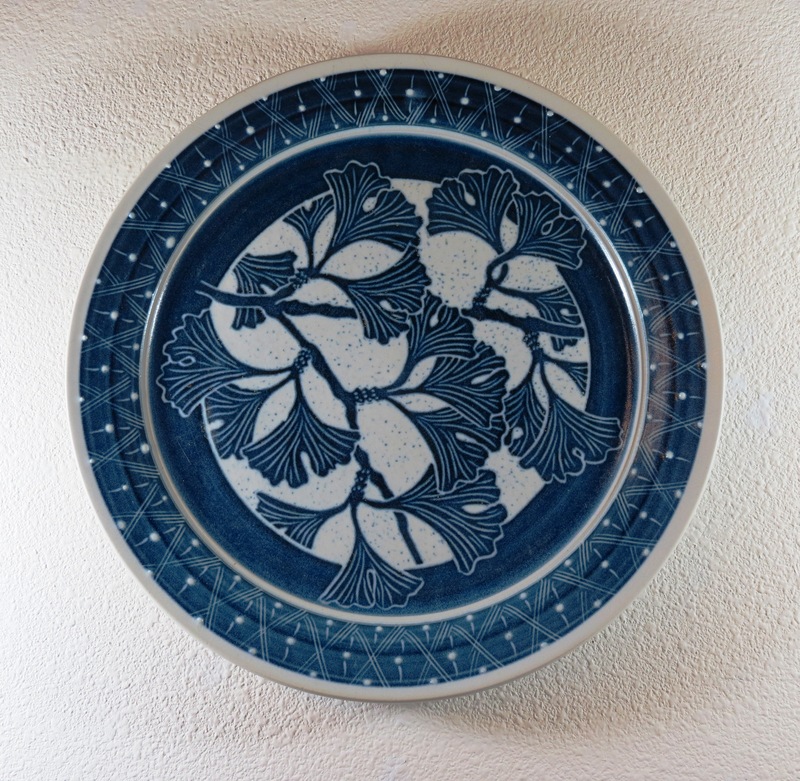 After a low “bisque” firing the pieces are coated with liquid glaze and fired to 2300 degrees making a very durable high-fired functional piece of artwork that is dishwasher and oven safe.